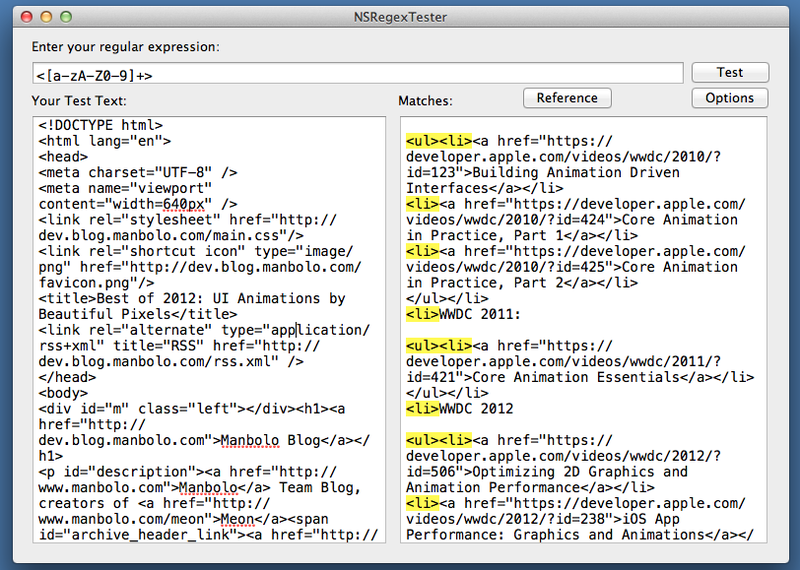 This is a very simple Mac OS X application that allows you to test regular expressions against sample text. It is based on the Mac OS SDK’s implementation of NSRegularExpression, which is based on ICU. Hyper simple and hyper useful. You can get the source code on GitHub. 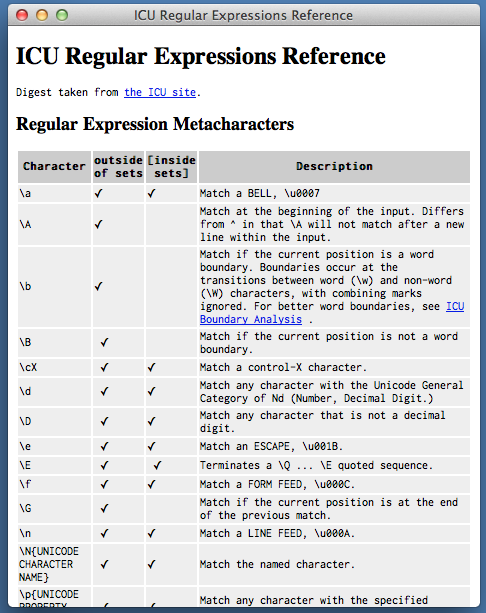 You can even have acces to a quick regular expression reference sheet.